We are very proud of this 115 Sqft Installation as it is our first chance to display our work in a public setting. 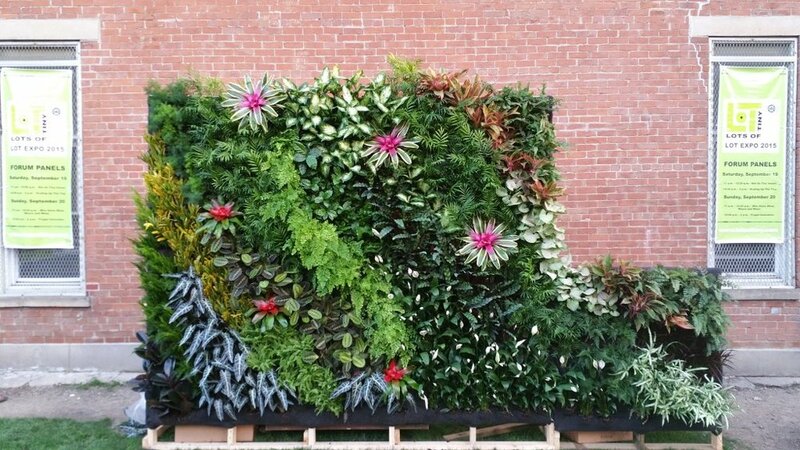 The reception we received from the community while constructing this living wall was spectacular and inspiring. Over the course of the 2-day installation, dozens of children (some watching baby siblings) came down to the playground to see what was being built literally in their backyard. Once we completed the kids pleaded with us to install the wall permanently, which we will try to accomplish but may not be possible…. Although they might be more upset about not getting to hang out with Lily and Tyler (mostly lily). It feels amazing to be able to give back to the community with this installation. Even if it is only up for a few days, we hope to continue to inspire and show the beautiful side of sustainability.